Supercharge your retirement savings plan no matter how far you are along with the smartest tools, tips, and technology experts can recommend. When we talk about retirement, we often use abstract terms like "When I stop working, I'll…" or "Eventually, I'll have enough money for… "
But are we taking the right steps to ensure we’re saving enough to stop working and retire comfortably? According to a survey from Northwestern Mutual, we aren’t doing nearly enough. 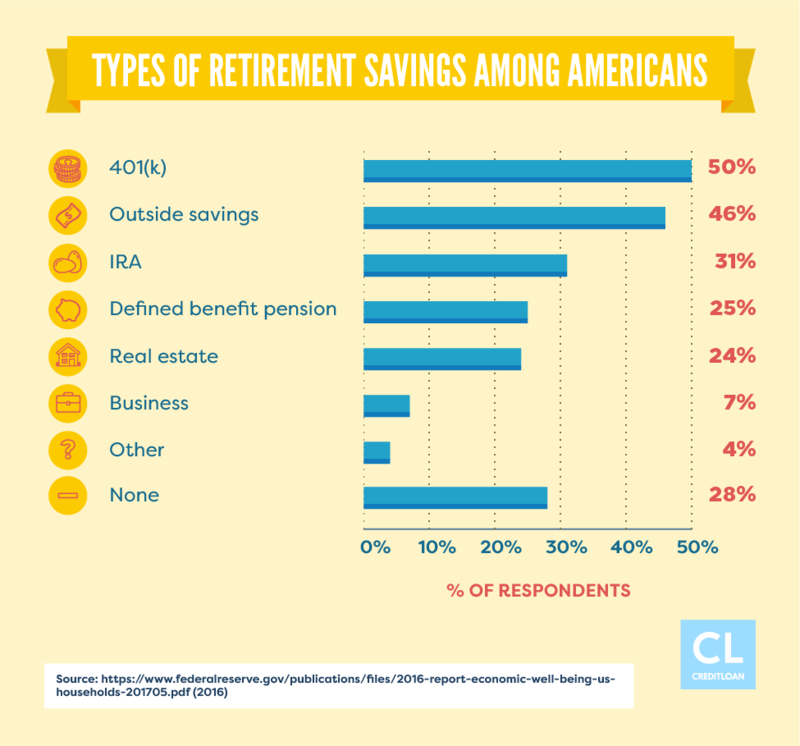 Over two-thirds of respondents are concerned that they will outlive their retirement savings. 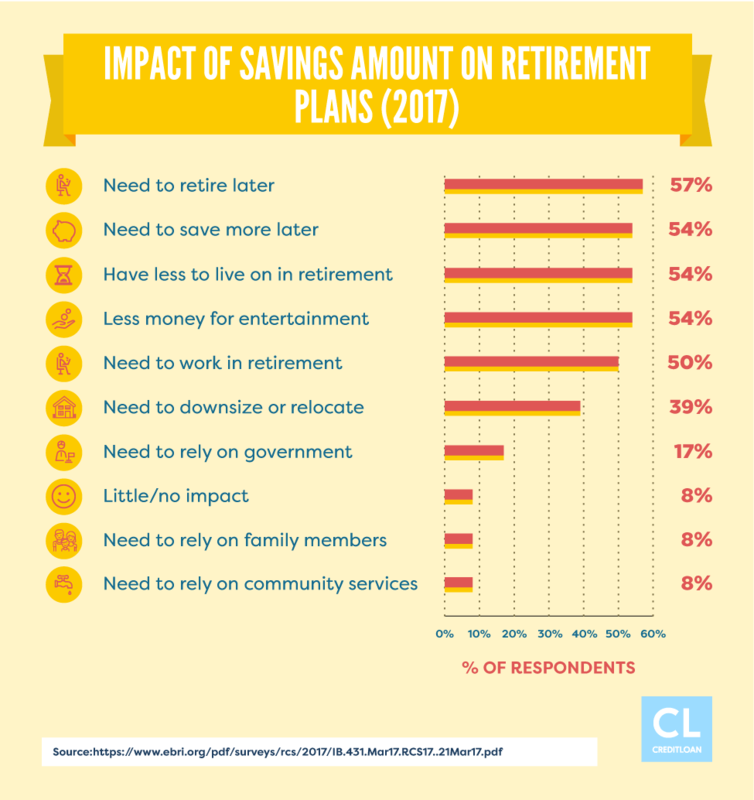 Around 20% didn’t have any retirement savings at all, and about a third of baby boomers have less than $25,000 set away for retirement. With so much concern about having enough money to stop working, it is important to start saving as soon as possible and then continually add to your retirement fund. Afterall, the more you save now, the more you’ll have in retirement. We traversed the internet and gathered some of the best personal finance advice available to help you get started planning for retirement. Wwe've whittled down all the overwhelming information out there to serve up 13 insanely smart ways that'll empower you to start planning and saving for retirement today. "I want to retire rich" sounds like a great plan, but you'll need to be more specific about your financial goals if you have any hopes of achieving them. The Department of Labor reports that you'll need anywhere from 70 to 90 percent of your current income to retire comfortably in your later years. Don't want to do the calculations on your own? Use this retirement calculator to get exact figures of how much you'll need to save. You can apply them to your finances, too, especially when it comes to saving for retirement. Specific: Save money and buy coffee only two mornings a week instead of five. The point is that small purchases can add up to big bucks over the years—and those funds can pad your retirement savings account. Measurable: You already figured out how much you need to save, no break that into monthly, or yearly chunks and track your progress. Talk about a great way to painlessly save and invest a few extra dollars per week. Realistic: Set goals based on your current income, what you need, and give yourself plenty of time to get to the end result. Time bound: Set and stick to savings deadlines whenever possible. This will prevent you from saying things like "someday I'll have $5,000 in my retirement account." Instead, you'll know that in "2 years, I'll have $5,000 in my retirement account." You already know you should be making monthly contributions to your 401(k) or IRA. But how much should you be saving? Many experts at say save "as much as you can." Well, some will say that 10% is a good rule of thumb, but it only if you got an early start to saving for retirement. If you're in your 40s, and you're getting a late start, you'll want to shoot for 15% to get back on track with saving for retirement. In the end, if you really want to have financial security come retirement, you'll have to optimize those contributions. Notice we said optimize your contributions, not max them out. If you're making good money, it makes sense to contribute the maximum allowed for your retirement fund every year. But since it's the IRS, there are going to be details and rules that you need to keep in mind. You can only put in $54,000 per year into your retirement accounts to qualify for tax considerations. This amount changes per year. In 2016, it was $53,000. How much money you can factor in (how high of an amount you can say you need to save based on your income) from your salary and employer matching is also capped. The compensation is limit $270,000 in 2017. Nice problem to have! If you're not putting aside money in an emergency fund for short-term financial needs (more on this later), then you should rethink contributing the max amount to your 401(k). If you have a 401(k) or a 403(b), check whether your company matches your contributions, and if so, how much. You want to be contributing at least enough to get the full company match, preferably more. If your company does NOT offer a retirement plan, open an IRA at a brokerage firm like Fidelity or Vanguard. Depending on your situation, you can choose a traditional IRA or a Roth IRA. Traditional IRAs enable you to invest pre-tax dollars for retirement—the money grows tax-free, but you'll pay taxes when you withdraw the money in retirement. Paying taxes later isn't the end of the world, since your tax bracket usually is lower than where you were when you started i.e. your income is lower since you've retired! Roth IRAs invest after-tax dollars—instead of getting a tax deduction today, you pay taxes now but can withdraw the money tax-free in retirement. They're good if your income is high now and may be lower when you retire. Like a health care plan, a retirement fund is an important employee benefit. When you switch jobs, you'll want to keep an eye out for retirement benefits—even more so than a higher salary. Some companies are better than others when it comes to supporting your retirement. Think Before you Fund Additional Retirement Accounts. While saving more money sounds like it will automatically improve your financial future, you'll need to pay attention to which funds work better when it comes to tax benefits. Plus, some accounts may charge fees if your balance isn't high enough. If your company doesn't have a 401(k), here's another option for you: the myRA. As far as retirement funds go, it's one of the easiest to manage because you don't have to make any investment choices: The myRA is invested only in a U.S. Treasury retirement savings bond whose value is guaranteed. If you are very risk-averse, and many people are, this is a guaranteed rate. You don't have to worry about having your balance go below what you started at or fees chewing away at your principal. Did we just say "guaranteed"? We sure did. There aren't many guarantees in life, and there are practically none when it comes to money. There is one drawback—once your balance reaches $15,000 or the account is open for 30 years, you must rollover your myRA into a Roth IRA. Speaking of rollovers, don't forget that when you switch jobs, you have to rollover your previous 401(k) into whatever retirement fund your new employer is (hopefully) offering. There is some paperwork involved, but it's mainly taken care of by the HR departments at your former and current companies, so get it taken care of soon after you start your new job. Grab a calculator—it's time for a quick lesson in compound interest. In simplest terms, it's interest that earns interest. Basically, when the balance of your retirement fund earns interest, that interest gets reinvested to earn more interest so that the whole sum grows and grows. You simply can't get that large of a return on investment with a regular savings account—which offers, on average, less than 0.25% in interest. So while you can't pull a stress-free retirement out of a hat, it makes sense to take advantage of compound interest. Yes, it's math, but it still seems like magic, right? Who here hasn't laid in bed unable to sleep while their mind spins with thoughts about how their bills or piling up or how they'll afford daycare next month? It has to be one of the worst feelings in the world: not sleeping due to stress about money. You want a good night's sleep. Right? Of course, you do. Stress about money and security is some of the worst. Debt gets in the way of everything, but it especially gets in the way of saving. If you've got credit card debt, pay it off as fast as you can. Once you've gotten those balances down to zero, take that same figure you were paying your credit card company and apply it toward your emergency or retirement fund. Finance expert David Bach presents The Latte Factor® as proof that small daily sacrifices can lead you to the life of a millionaire down the road. Could giving up your daily latte make you a millionaire? It may, especially if giving up an overpriced beverage gets you thinking about other small sacrifices you can make for the sake of financial independence. Your company's 401(k) is deducted automatically from each paycheck, so you won't miss having that extra money in your paycheck. If you've got an IRA, do the same thing. If you don't see the money in the first place, you won't miss it. The more painless you can make your savings each month, the better off you'll be. Think of the above tips as the "new" form of counting sheep—you'll sleep better knowing you're as focused as you should be on your future finances. Many people think they need to have hundreds of thousands of dollars saved up to work with a financial planner. While wealth managers typically charge a fee equal to 1-1.5% of their clients' assets, companies like Charles Schwab or Fidelity often work with individuals and couples who are just getting started in learning how to save for retirement. Other low-cost options include robo-advisors that provide resources to people growing their nest eggs. The major benefit of working with a financial professional is that you've got an expert on your side who understands market volatility and how to make portfolio adjustments accordingly. He or she is adept at recognizing and managing risk, so you'll get a fair warning when you need to pivot your investments. And if you don't know your mutual fund from your ETF (more on these later), your financial adviser can help explain complex financial terms in an easy-to-understand manner. Keep in mind that it's completely OK to have lots of questions about your retirement fund—but don't wait to get the answers before you open an account. When it comes to saving for retirement, it's better to act now and ask questions later. And if you're allergic to paperwork, know that you have options. Even if you're a small potatoes investor (for now), you can still avail yourself of many online financial resources. These apps make managing your money ridiculously easy, so if you've got modest savings, you can most likely manage it yourself on your smartphone—for now. FeeX: Called "The Robin Hood of Fees," this free service helps you lower the fees associated with your IRA, 401(k), 403(b), and other investment accounts. ForUsAll: This is the answer for small business owners looking to start a simple 401(k) program for their employees. Betterment: This popular robo advisor offers the best options for investing your money, thanks to a diverse portfolio of global ETFs. The RetireGuide™ helps users figure out how much they need to save for retirement, and if their current savings strategy will get them there. Guideline: This is the first (and only) service that completely manages and automates the 401(k) experience based on its proprietary technology. There are many other online resources and robo advisors out there, so do some research and narrow them down to the ones that best match your financial needs. If you're like most people, ≈the stock market ticker is just a jumble of numbers and decimal points. While it's not necessary to get your broker's license to gain a handle on your personal finances, it does make sense to have a basic understanding of the different types of investments available. Stocks: When you buy a stock, you are paying to own a (very) small part of a public company. There are many stockholders for any given company, but when the company does well, you'll all do well. The stock market is rather volatile, though—meaning it has many ups and downs. Many experts would agree: Invest in stocks and hang on for the ride, since over long stretches of time, the market typically goes up in value. Bonds: Even successful businesses need loans from time to time. When you invest in bonds, you are loaning money to businesses, which will later pay you back with interest according to the terms of the bond. Many investors like bonds because they more or less know what they're getting back on their investment. If you like to keep a conservative portfolio, bonds are the way to go. 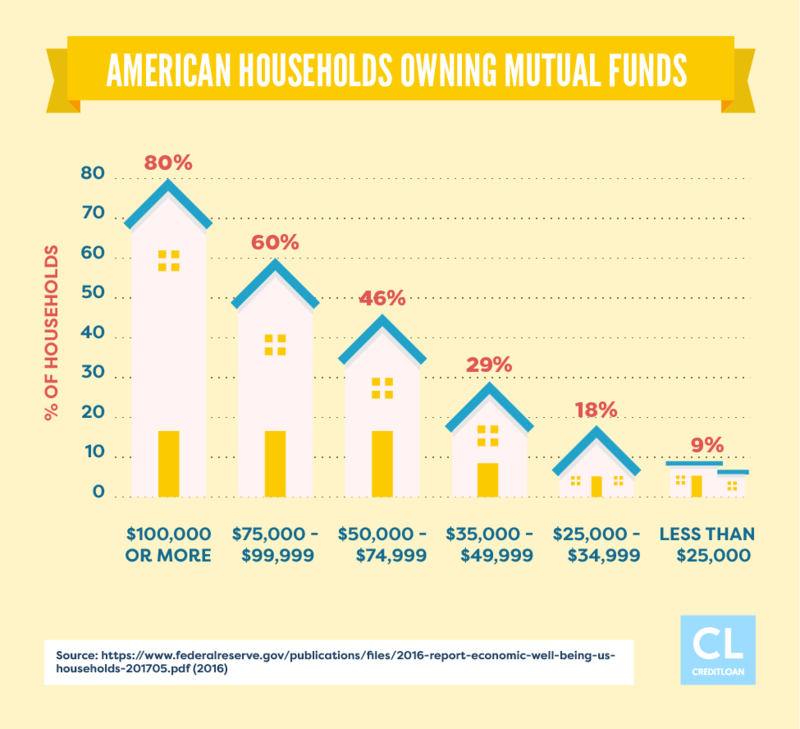 Mutual funds: These are groups of assets, like stocks and bonds. Mutual funds are ideal for new investors, as it doesn't take much money to invest and build a diverse portfolio that incorporates different types of investments. Diversity is key to investing, as it helps investors manage risk. ETFs: ETFs stand for exchange-traded funds. These are similar to mutual funds, but they trade on the stock exchange similar to stocks. Regular folks like us like them because they often come with fewer fees and more choices. Real estate and infrastructure: Even if you're not ready to purchase your own home, you can still invest in real estate and infrastructure development. Investing in infrastructure, including airports, bridges, and mass transit, offers low-risk alternatives to traditional stocks and bonds. Again, diversity is key to a strong investment portfolio, so your retirement fund should reflect a healthy mix of most or all of the investments featured above. As we mentioned earlier, the future of Social Security is uncertain. If you want to plan for a financial rainy day, then it makes sense not to overestimate your future Social Security payments. But don't think you're financially savvy by excluding them from your retirement planning. If you leave Social Security out of the equation entirely, you're not planning for a rainy day; you're planning for a complete washout, followed by a zombie apocalypse. That's not being conservative; that's being unrealistic. While the future of any government program can be iffy, many experts say that even if Social Security doesn't make it for the long haul, there will be something similar to take its place. So don't lose sleep over Social Security. All that money you've been paying over the years will still be there in some form or another. The Department of Labor reports that when you start collecting Social Security, it comes out to about 40 percent of what you earned before retirement. Breaking news: Paying income tax is not going anywhere anytime soon. But consider this: 401(k) and Roth IRA contributions are taken out of your paycheck before taxes. Sure, you may balk at the idea of paying more money each month into your 401(k) or Roth IRA when you're living paycheck to paycheck. But your income is only taxed after that chunk is taken out. So if you start making bigger contributions to your retirement fund each month, guess what? Your taxable income is even lower, which means you pay the government less. Depending on how much you can take out, you could even put yourself into a lower tax bracket. What's better than a well-funded retirement account? Two well-funded retirement accounts! Boost your retirement savings by strategizing as a couple. Let the younger partner take on more risk. This is especially important if the couple has an age gap. It makes sense for an individual to take fewer investment risks as he or she reaches retirement age. But the younger partner has more time to recover from market volatility. The younger partner in your relationship should check in with a financial adviser and make the necessary portfolio adjustments. Stagger your respective retirements. If you are close in age, it makes sense to retire at a different time than your partner. From a financial perspective, the retiree can begin to live off of retirement payouts while the partner who is still working can max out retirement contributions or perhaps even pay catch-up contributions, which are additional retirement fund deposits that individuals 50 and older can make. 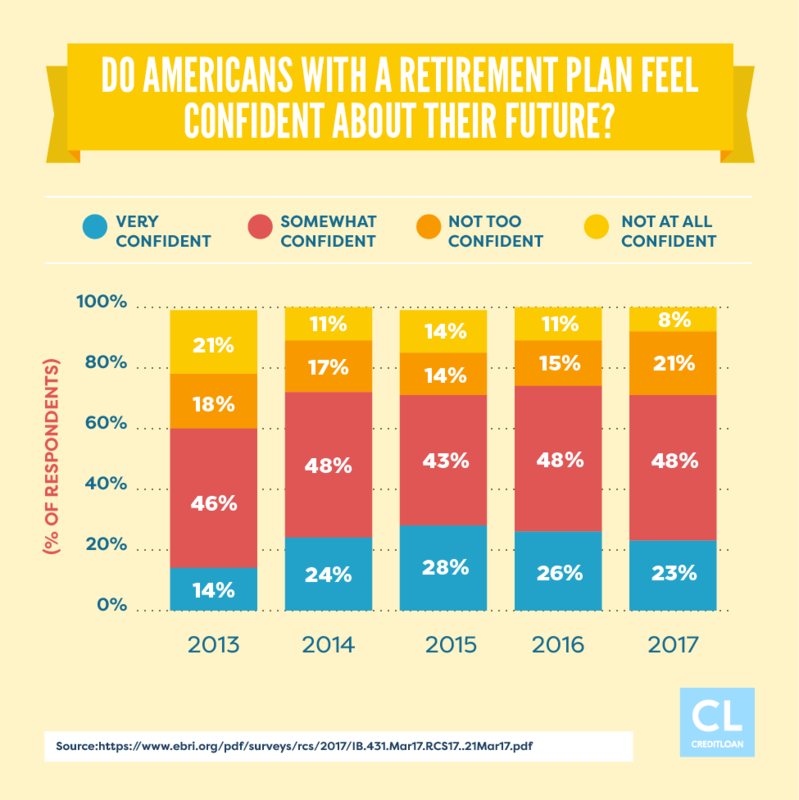 From a personal perspective, retirement is a major lifestyle adjustment, and it may be beneficial to experience that adjustment one person at a time. They're not joking when they say two is better than one—in matters of the heart and money management. If you're doing everything right, you're going to see your retirement account grow handsomely over the years. Admire that balance all you want—but don't touch that account unless it's for an extremely good reason. Not only will you pay a penalty for early withdrawal, but you'll also set yourself back big time with saving. Only in some very specific instances, the IRS does let you withdraw from your retirement savings accounts (401(k), IRA, etc.) without having to pay a stiff penalty. Depending on your retirement fund and your age (you can take out as much as you like when you're 59.5 years old), you are allowed early withdrawals or loans—as exemptions—against your balance. If you need money, apply for a personal loan or tap into your emergency fund. 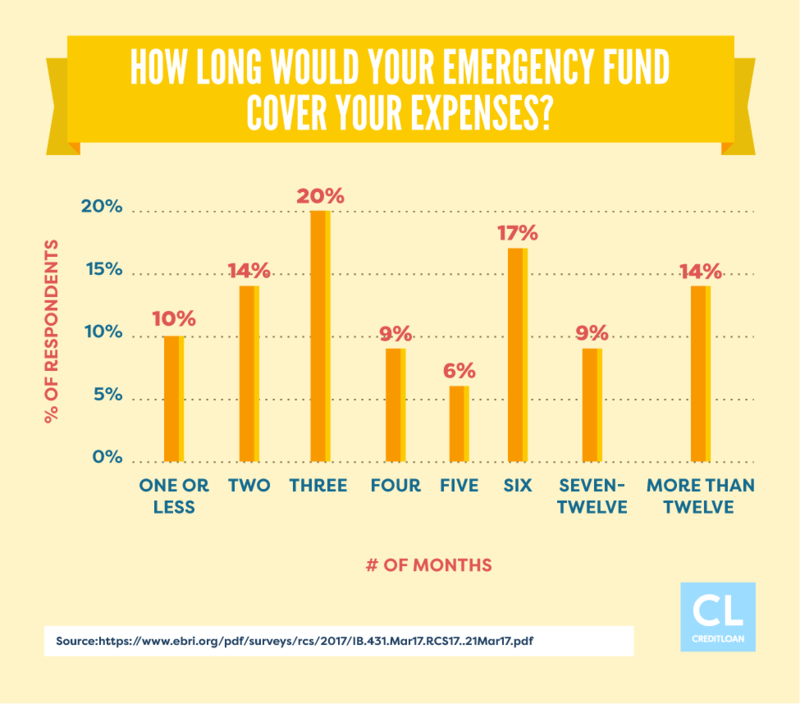 An emergency fund is just that: Money set aside in case of emergency. In addition to setting money aside for retirement, you want to have money you can access if you get sick or lose your job. The idea here is to let nothing get in the way of your retirement savings. But sometimes, things have a way of getting in the way of everything. Here's a bit of advice that's more personal than finance: Now that you know how to save for retirement, don't wallow in past financial mistakes. It's not healthy, and it's certainly not productive. The point is to get started! By using some of the tips and tricks we've shown you here, you'll soon establish momentum in saving for retirement. With a little bit of investment in taking care of yourself, you'll be able to quit your job in the future and spend the rest of your days doing what you love. Now, that's a goal worth pursuing! How far along are you on fuelling your retirement plans? Better yet, what's the best advice you have heard about planning for your golden years? Some people plan to save less and move to a place where their dollars go for more. You?